Indianapolis is a welcoming blend of engaging culture, delicious dining, friendly people, and walkable ease. Check out city highlights and start planning your trip! Find new products, ideas, and solutions for your library in the PLA 2014 Exhibits Hall. See a list of who’s coming so far. 5:30−7:30 PM All Conference Reception: Innovative E-Book Extravaganza! All Conference Reception: Innovative E-Book Extravaganza! Admission to all general sessions is included with Full Conference registrations and Exhibits Plus badges. Single-Day registrants can attend all general sessions on the day for which they’ve registered. Get a first look at the products and services offered by nearly 400 exhibiting companies…and enjoy some food and drink while you’re at it. PLA thanks Gale Cengage Learning for its support of this event. Take one last look around the exhibits and network with vendors and colleagues during this social reception. PLA thanks Polaris Library Systems for its support of this event. Each author event requires a separately priced admission. The PLA Conference is located in the heart of Indianapolis. Whether you choose a plane, train, or automobile, you’ll find Indianapolis a convenient hub for travel! 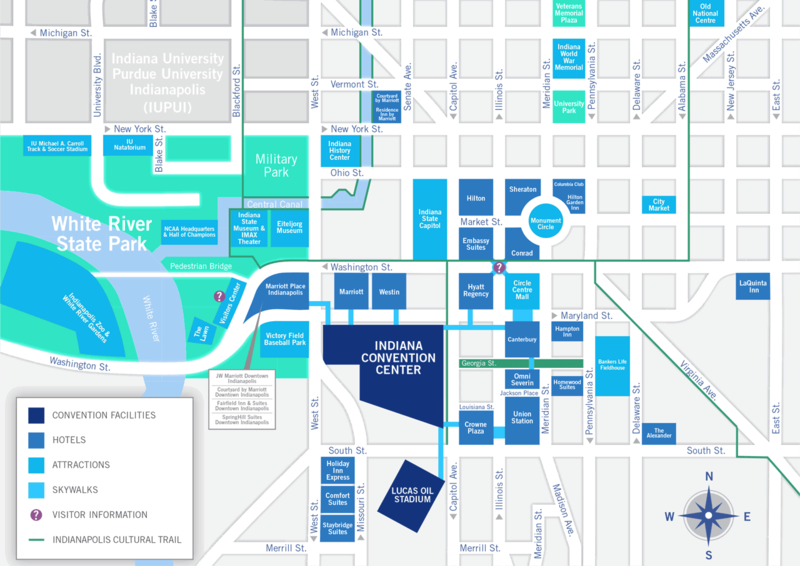 Traveling to and around Indianapolis is easy, convenient and affordable. Known as the Crossroads of America, Indy is within a day’s drive of over half of the country’s population. Indianapolis is a city that constantly defies expectations! There’s so much to explore and enjoy, and so much of it is within walking distance of the convention center, that we almost don’t want to tell you. Be sure to bring an appetite to Indy because food abounds in a mouth-watering and stomach filling range of cuisines and styles. PLA also partners with a local tour operator to offer some well guided fun! Here’s a sampling of the official tours we’ll have available beginning September 18. Find new products and solutions for your library in the PLA 2014 Exhibits Hall. Browse the booths of nearly 400 companies and see the latest in publications, media, technology, equipment, services and supplies. See a list of who’s coming so far. PLA 2014 is a targeted opportunity to connect with decision makers throughout the public library world. Learn more about exhibiting at PLA 2014. Join us in thanking our PLA Partners for their support of the conference and other programs and activities. Thanks to all our PLA Partners!